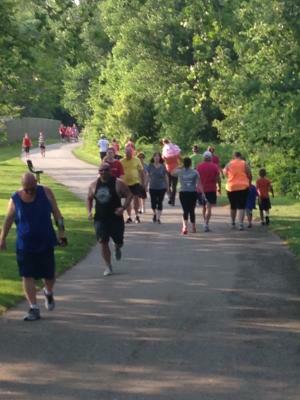 Start your summer off right by lacing up those athletic shoes and heading out to a Hendricks County park and/or trail! 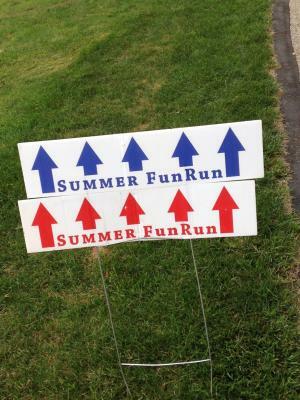 It&apos;s almost June and that signifies the beginning of the popular Summer Fun Run Series. Four fun runs occur this month at various parks and trails. Several other run/walk events take place in June including one specifically geared for children and teens. Simple to remember dates and times - An event takes place every Wednesday from June 7-Aug. 9. Feel free to arrive anytime between 6 and 7 p.m. If you prefer a less crowded atmosphere, I would suggest arriving after 6:30. Events are casual, non-competitive and family-friendly - You can run/walk at a leisurely pace or faster speeds if you are wanting to burn more calories or improve your run/walk time. All courses are stroller friendly, so it&apos;s a perfect opportunity to encourage a healthy lifestyle for the entire family. Choice of distance with clearly marked courses - Distance options include a 5K or 1 mile. Course maps are provided online or on site. The courses are clearly marked at every event, so no need to worry about memorizing the maps. Opportunity to explore parks and trail systems throughout Hendricks County - Our parks and trails offer beautiful views, serene settings, well-kept grounds and many amenities. This is a chance to revisit favorite parks and check out new ones. The cost - The Summer Fun Run Series is free, and if you participate in at least 8 out of 10 events, you will receive a free commemorative T-shirt. 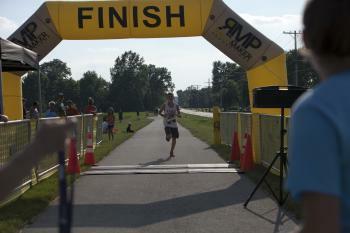 How does Hendricks County Parks and Recreation keep track of the events you participate in? You can either register at the event or pre-register online at least 24 hours before your first event. It&apos;s very simple to pre-register, click here. Just fill in your name, email and T-shirt size. A special check-in station for pre-registered participants will be set up at every event. I suggest utilizing this option so you don&apos;t have to wait in line for everyone to fill out their information. Four events are scheduled in June! Click on the links for the 5K course maps. Come out June 3 and support the Preeclampsia Foundation. This 5K walk and fun run begins at 9 a.m. at the Richard A. Carlucci Recreation and Aquatic Center, 651 Vestal Road, Plainfield. A family fun time event starts at 10 a.m. The Promise Walk is free, however, donations are welcome when registering for the event. Click here for more information. Part of the Hendricks County Rib Fest and Avon Balloon Glow, this event provides a fun-filled family evening! Join local runners/walkers and fellow BBQ lovers on Saturday, June 24 at Kingsway Christian Church, 7981 E. County Road 100 North, Avon. The 5K run/walk with an optional "sloppy" rib run starts at 8:30 p.m. and the 1/4 slab kids run begins at 8 p.m. The flat, easy course runs through neighboring subdivisions. Up for an extra challenge involving the consumption of delicious ribs? Sign up for the Sloppy Rib Run. Participants can eat up to five ribs at each K and 20 seconds per rib will be deducted from your total time. Click here for more information and registration. Rib Fest promises awesome BBQ, live music, games for kids, balloon glow and fireworks. For a full schedule of events, click here. Do you have children ages 5-16 who are triathletes or interested in becoming one? This event is ideal for both. The Hendricks Regional Health YMCA, 301 Satori Parkway, Avon will host this triathlon on June 25. Distances for 5 to 9-year-olds include a 50-yard swim, 2-mile bike ride, and 1/2-mile run. Ages 10-16 swim 100 yards, bike 4 miles and run for 1 mile. The pool is inside the facility and the bike and run will take place on the paved, motorist-free YMCA trails. The race begins at 8 a.m. for ages 5 to 9 and approximately 9 a.m. for 10 to 16-year-olds. Click here to sign up for this great event. Start off the summer on the right (or left) foot and join Hendricks County locals for these awesome events!